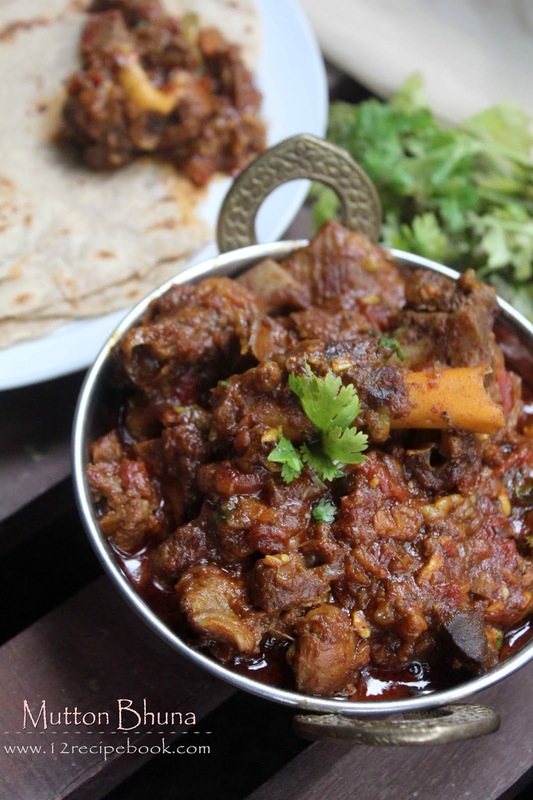 Bhuna Ghosht / Mutton Bhuna Masala is a finger licking North Indian Mutton preparation. It pairs well with all the flat breads and plain rice. Try this simple and easy recipe at your kitchen and leave your valuable feed back's here. Heat a pan with 2 tbsps of oil and add cleaned mutton pieces. Fry them for few minutes (about 6 to 8 minutes) until releases all its water content and slight golden in color. Take it out from the pan and keep aside. Add one more tbsp of oil in to the same pan. Add whole spices and splutter. Add thinly chopped onions and saute until golden in color. Add crushed ginger and garlic; saute a minute. Add turmeric powder, chilly powder, coriander powder and salt; mix well. Add chopped tomato and curd; mix well. Add mutton pieces; mix well and cover the lid. 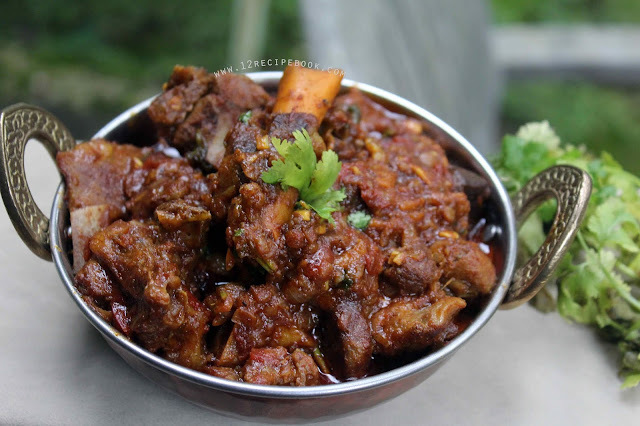 Cook for about 30 minutes or until mutton pieces get cooked nicely and oil floats on top. Then add garam masala powder; cook by opening the lid for another few minutes until gravy thickens. Garnish on top with chopped coriander leaves and serve.